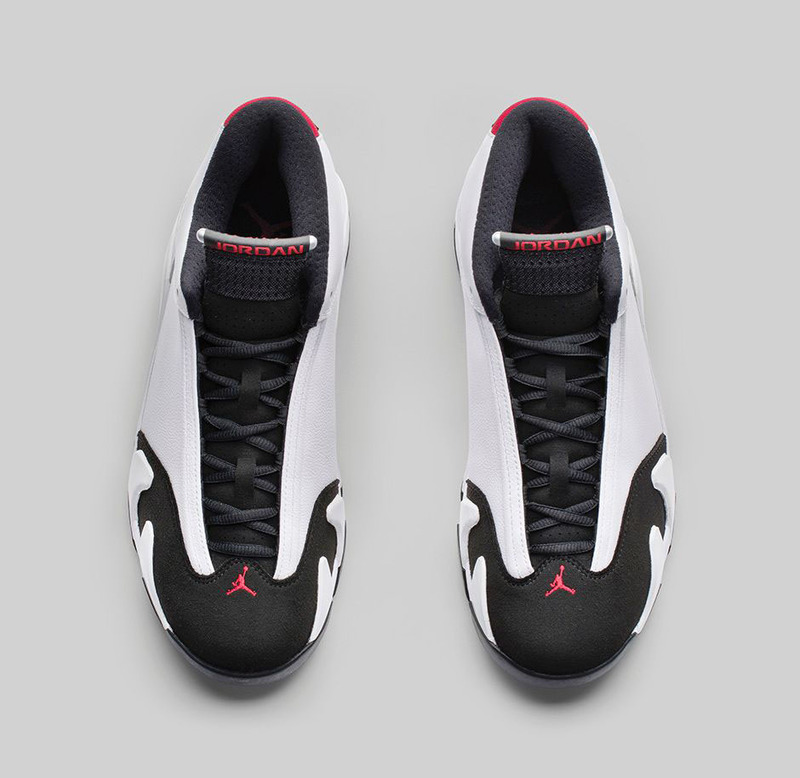 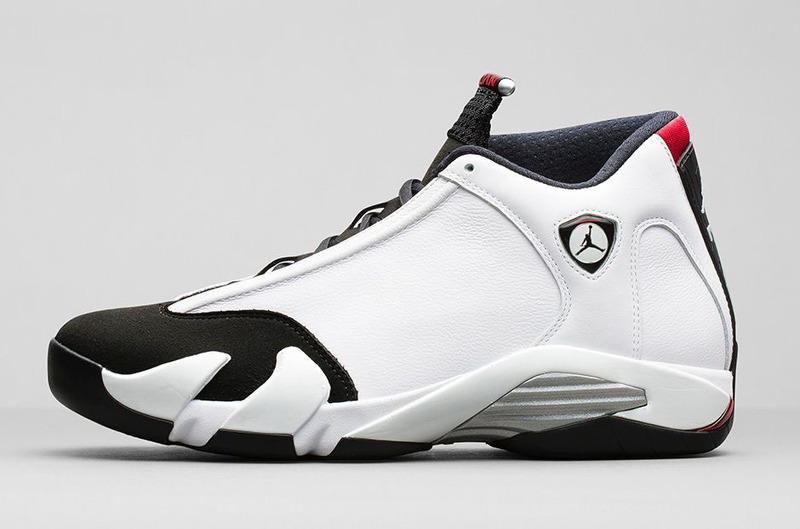 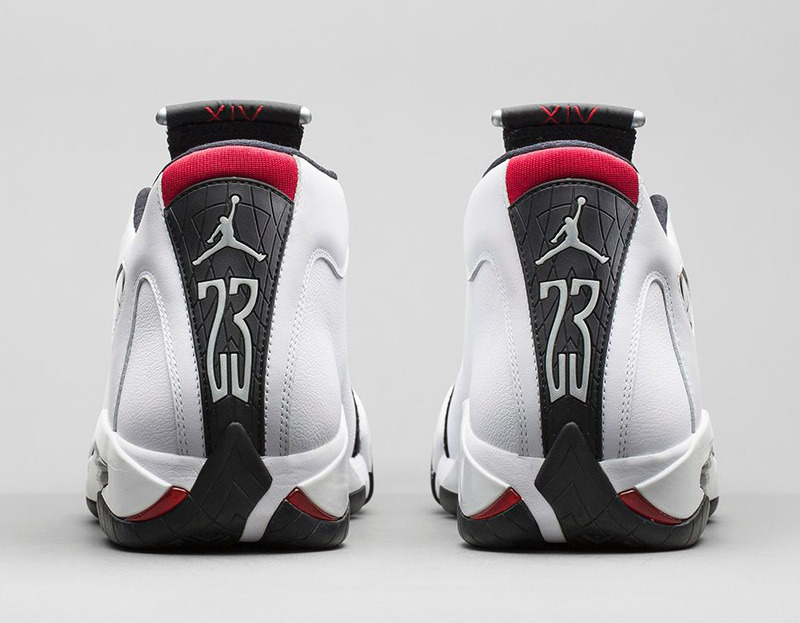 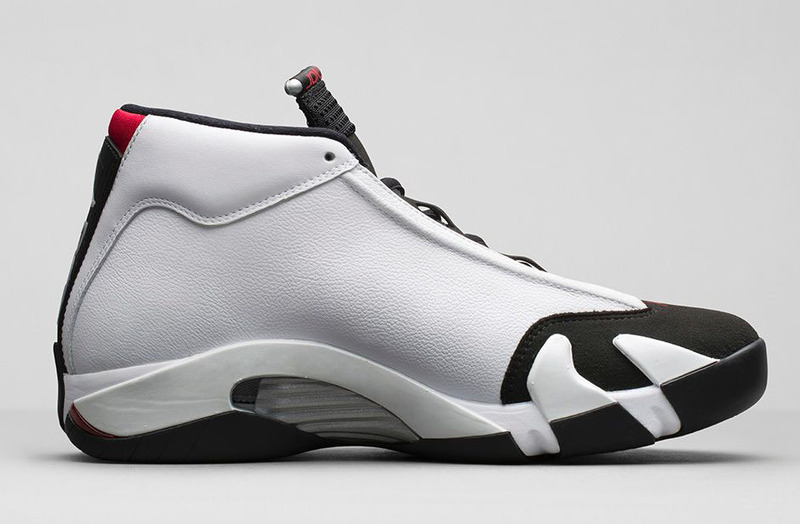 Originally released in 1998, the launch colorway of the Air Jordan 14 makes its return to retail next weekend. 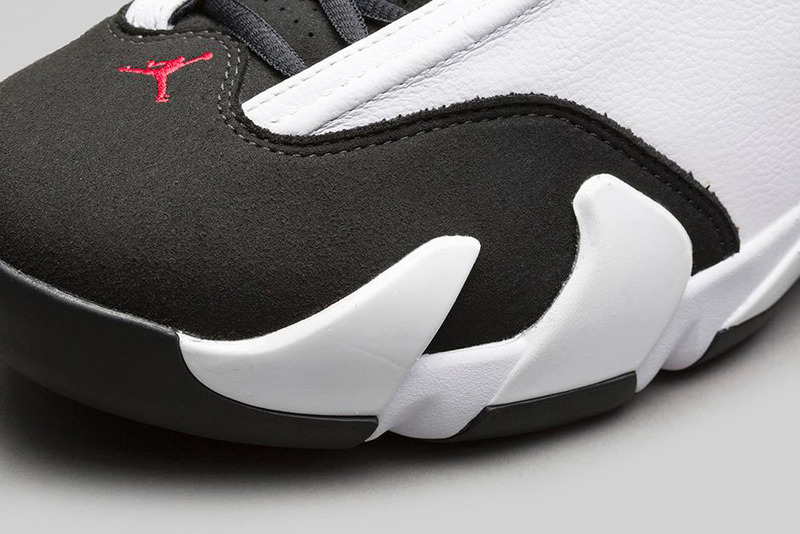 Dubbed ‘Black Toe,’ this colorway sports a smooth white leather upper, with a black suede toebox and varsity red accents on the tongue, heel and Jumpman shield. 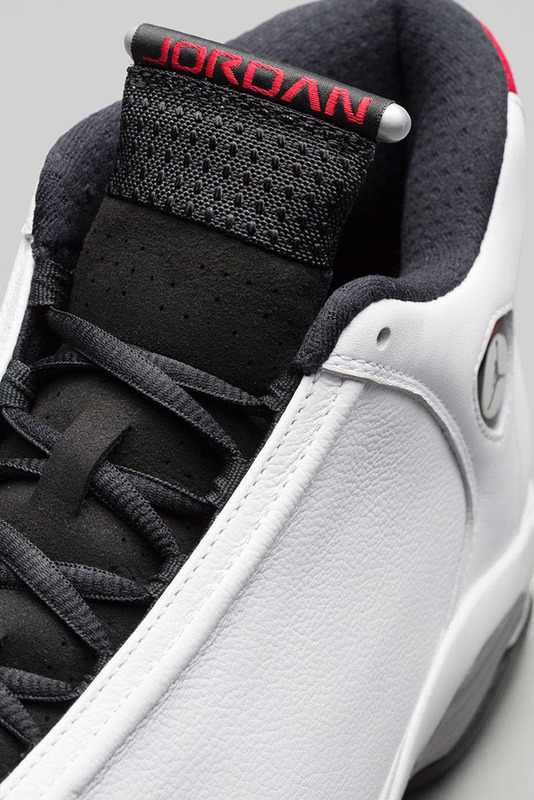 Metallic Silver adds to the look on the tongue bar and plate. 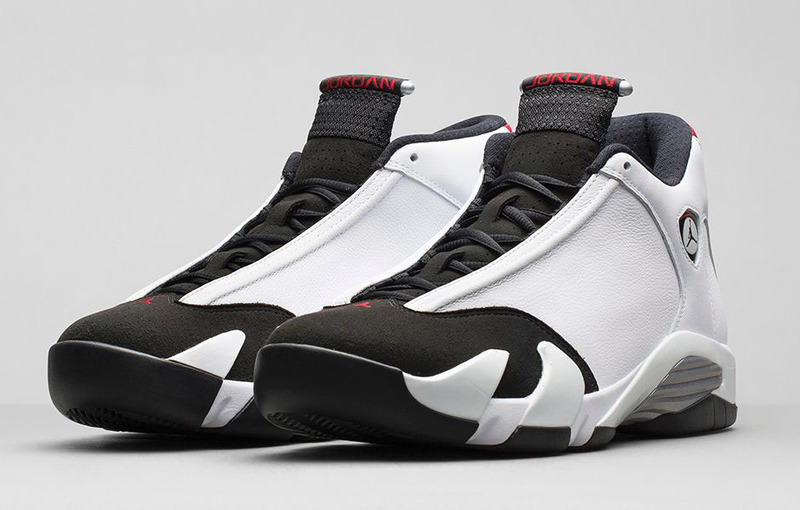 Check out the official photos of the ‘Black Toe’ 14 and grab a pair from nike.com and other Jordan retailers next Saturday, September 20 for $170.